Both patches are 2"H X 4 1/2" W, they are on a black patch background with white text and a white border. 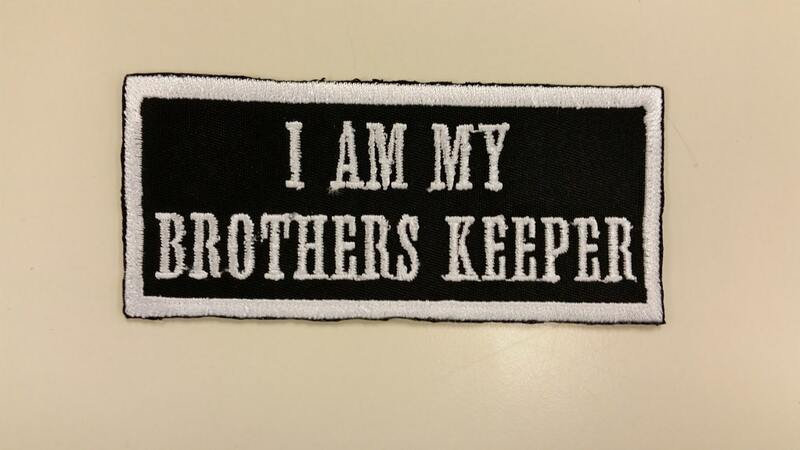 The first one shown says "I am my brothers keeper," in all caps block lettering. 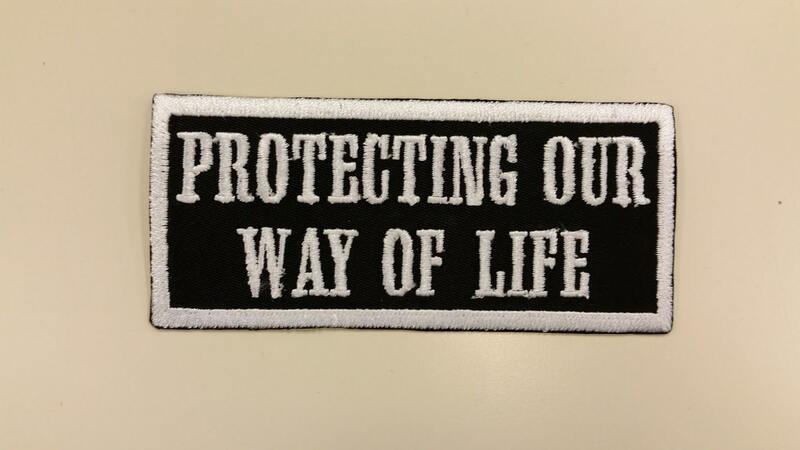 The second shown says "Protecting our way of life," in all caps block lettering. 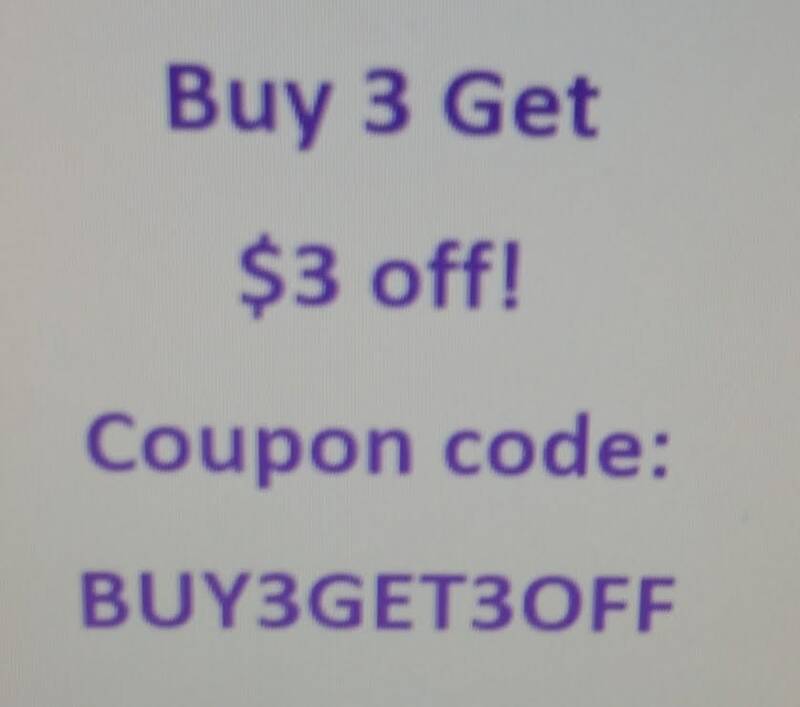 Buy both patches and get a discount. These do have an iron on backing, for leather though, please sew on the tags. Many Thanks! My boys loved them!